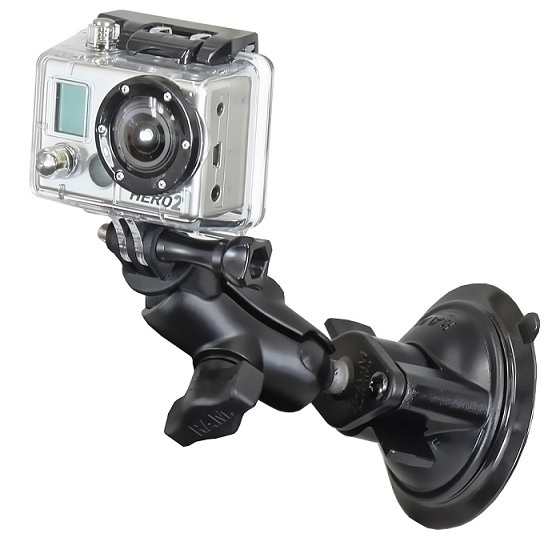 Included Suction Cup Base: RAM-B-224-1U rubber suction cup base is designed to have an extra strong hold on any smooth non-porous surface such as glass surfaces. Included Arm: RAM-B-201U-A black powder coated marine grade aluminum short sized length arm for 1 inch balls. Measures 2.0 inches between socket centers. Measures 2.38 inches in overall total length.